Editor’s note: the following article is by Brendan Michael Wilson, a frequent MEA contributor. Russia’s veto on Monday of a UN Security Council resolution that would have condemned the Syrian government’s violent suppression of the nationwide Arab Spring protests should come as a surprise to no one. The only surprise is that they managed to convince China to veto the resolution as well.Moscow has explained this veto by expressing their long held belief in the respect for national sovereignty. This is in keeping with Russia’s foreign policy tradition, but much more is at play. Vetoing this resolution, and protecting the regime of Bashar al-Assad, serves Moscow’s Great Power ambitions, her regional geopolitical objectives, and her economic interests. Russia’s government bristles at their loss of power relative to the United States since the end of the Cold War. They feel threatened by America’s status as the world’s only superpower and wish to regain their status as a rival power. Since Russia cannot reconstruct the Soviet Union, its only option is to do everything it can to reduce American power by obstructing American objectives. This is the fundamental aim of Russian foreign policy and the prism through which everything Russia does must be understood. Often, this achieved simply by using, or threatening to use, their veto at the Security Council. This is why Moscow is constantly watering down or blocking resolutions that the US supports, whether they are directed to Syria, Libya, Sudan, or whoever. In their thinking, anything that benefits America must be bad for Russia, and vice versa. Classic zero sum politics. This thinking also influences Russia’s geopolitical position in the Middle East. The Assad regime plays an important role in Russia’s ability to project power in the Middle East and the Mediterranean, which would otherwise be the sole domain of NATO. Syria leases a Naval base in the port of Tartus to the Russian Navy under an agreement that dates back to the Soviet era. 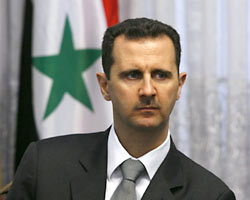 Assad also acts as an intermediary in Russia’s relationship with Iran. If the Assad regime were to fall, it is not likely that the close relationship between Moscow and Damascus would persist, possibly imperiling the port at Tartus and complicating Russia’s veiled relationship with Iran. This would have further consequences for Russia’s defense industry. Aside from raw materials, Russia’s only major export is military hardware. However, the quality of Russian military equipment is inferior to American and European equipment. Consequently, the only customers for Russian fighter jets, tanks and missiles are the regimes that the Western nations refuse to sell to – for obvious reasons. 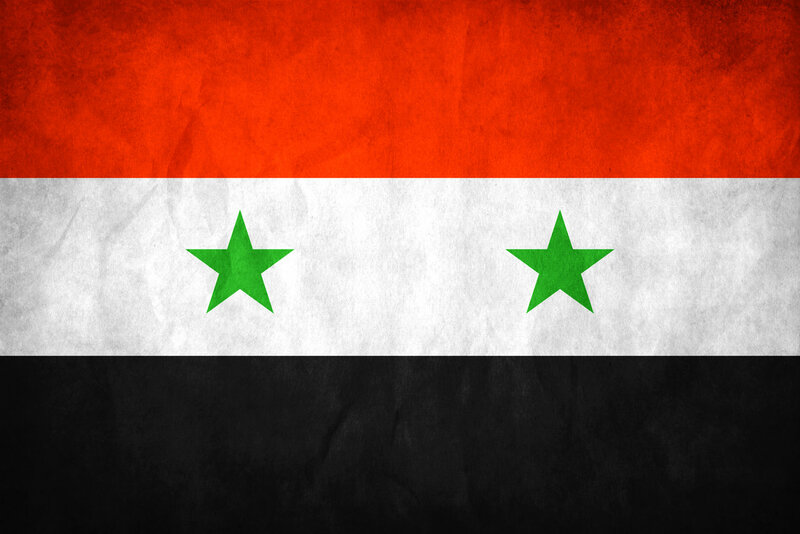 Syria currently has more than $4 billion of military purchases under contract. This and future deals depend on the Assad regime’s survival. So, in spite of Bashar al-Assad’s obvious brutality and willingness to do whatever it takes to hold on to power, Moscow sees him as an indispensable man. His presence remains a thorn in the side of the West. He is the lynchpin to Russia’s regional objectives in the Middle East. 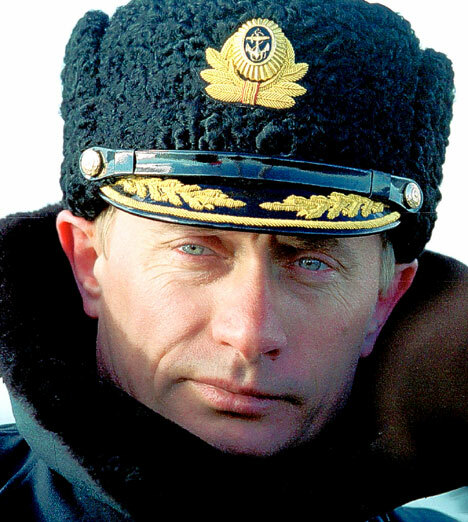 He provides the Russian military with a presence in the Mediterranean and the Russian military industry with much needed revenue. These factors matter far more to Moscow than the demands of the Syrian people. The same dynamics are at work in Russia’s shady relationships with countries like Iran, Venezuela, Zimbabwe, and so on. Monday’s veto is but one example in recent years of Russia’s protection racket for nefarious regimes, with many more to come. Today’s Russia is no Soviet Union. However, as the principal ally, provider of diplomatic protection, and arms supplier of authoritarian regimes the world over, Moscow has once again positioned itself as the epicenter of tyranny in the world.